Free Things to Do in San Francisco in November: 25 You Can't Miss! Are you looking for the best free things to do in San Francisco in November? If so, check out this list of my 25 favorites. They include street fairs, events, attractions, and a few special hidden gems. Highlights include a visit to the Golden Gate Bridge, a stroll up some of our colorful mosaic stairs, and a chance to see how fortune cookies are made. You can also visit with Santa, enjoy a tree lighting ceremony, or check out this year's sugar creation at the Westin St. Francis. Read on for details about the best options this month in SF. You will find the Day of the Dead event in early November in the Mission District. Its official name is "Dia de Los Muertos" and it's a time to honor both the dead and the circle of life. During the celebration, you will find altars lined up side-by-side at Garfield Park at 24th and Harrison from 4pm to 11pm on the day of the celebration. That evening, you will also find a slow procession around the district and everyone is invited to participate. As you walk around the neighborhood, you will see hundreds of locals with additional altars outside their house as they watch the procession walk by. Discover Days is one of the best free things to do in San Francisco in November with kids. It's a hands-on science fair with more than 150 activities. Your kids can also meet local scientists and engineers throughout the day. The event runs from 10am to 4pm. Start your holiday celebrations off this year at Pier 39 in Fisherman's Wharf. This is one of the top free things to do in San Francisco in November as it attracts thousands each year. 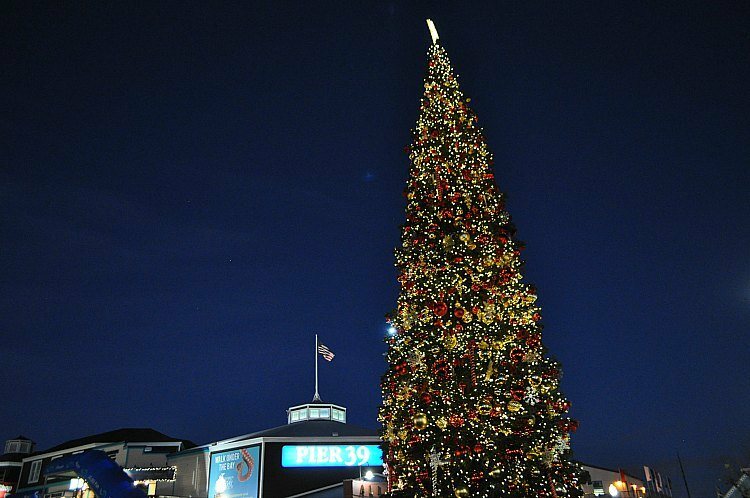 Starting in mid-November, Pier 39 has its official lighting of their Christmas tree with a free party for the public. It includes live music and the chance to be one of the first to see this year's tree. After the lighting, the tree will continue to be lit each night through the end of the year, so you can still see it if you miss the lighting event. 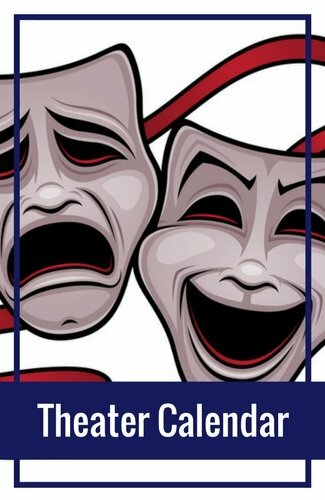 If you are looking to save on your budget, make sure to check out my calendar of free museum admission days for November. Each month, several top museums open their doors and invite the public in to see their permanent collection (there is sometime a small fee to see traveling exhibits). Others offer quarterly or specific free days throughout the year. 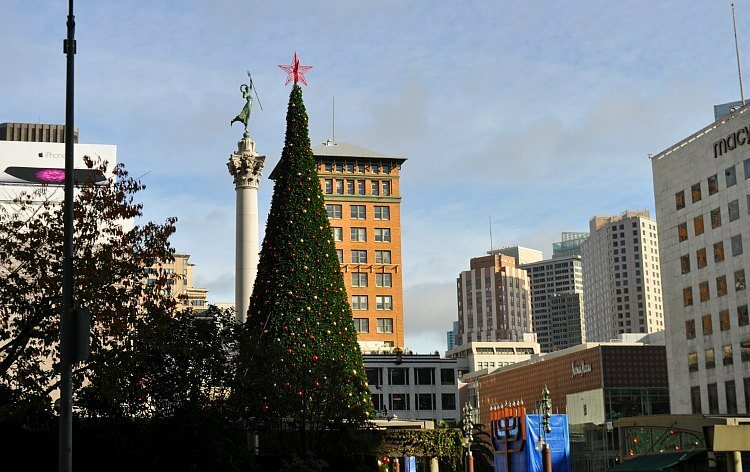 Another one of the popular holiday free things to do in San Francisco in November is the Union Square Tree Lighting Ceremony. The day after Thanksgiving, head down to Union Square to watch them turn the light on their 83 foot tree. The event also features local music acts. The event starts at 6pm with the tree lighting around 6:40pm. The tree will be lit each night through the end of the year. The Westin St. Francis sugar tree is another treat for visitors this holiday season. Head across the street from Union Square and step inside their lobby. Shortly after you enter, you will see their sugar creation of the year. The unveiling kicks off in November each year. It's also a celebration with some apple cider and a few activities. The sugar tree is then open to the public every day through the end of the holiday season. One of the things I love to do when I travel is learn all about the history and secrets of each city. It's easy to do that in San Francisco with our free, daily walking tours. Offered by SF City Guides, these walking tours cover topics from the Gold Rush to modern day architecture. 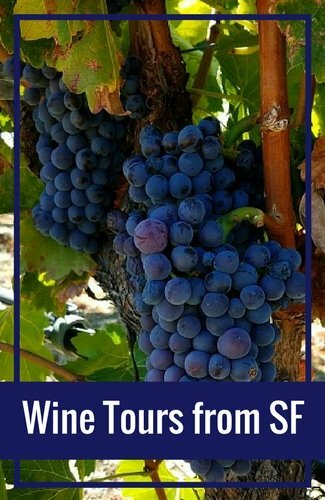 You can also join a tour about the Golden Gate Bridge, the mansions of Pacific Heights, or the Painted Ladies of Alamo Square. 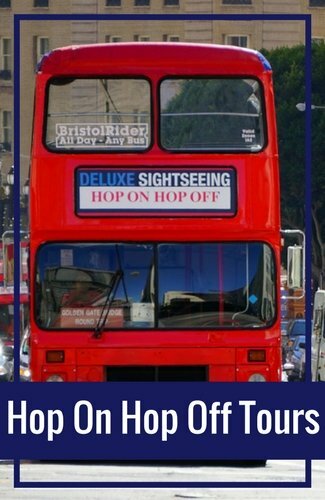 You will find around 5 to 6 tours during the week and almost a dozen each day of the weekend. 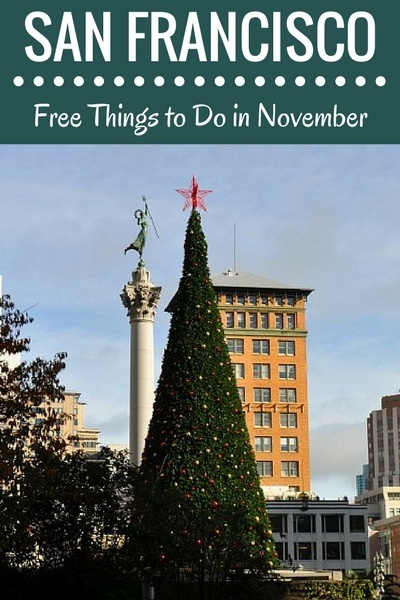 It's one of the very popular free things to do in San Francisco in November. Make sure to head over to Goldstar before you visit San Francisco for some of the best deals on cruises, tours, and other activities. They offer discounts at up to 50% off for some of our most popular activities. Click the links below for details on these and to find other deals for your trip. 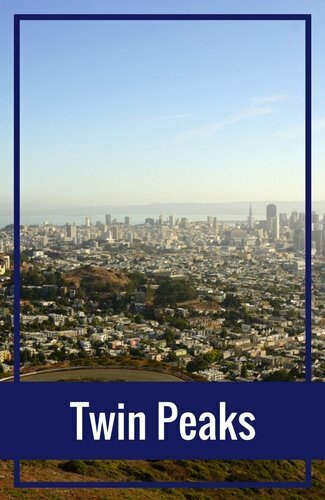 Speaking of the Painted Ladies of Alamo Square, a visit to them is #8 on my list of the top free things to do in San Francisco in November. These lovely and colorful Victorians were built in the late 1800s. Many have been revitalized to their original beauty. The famous "Seven Sisters" sit on Steiner Street across from Alamo Square. However, you will find dozens of other beautiful historic Victorians all around the district. Use my guide to find where you can see the largest concentration of remodeled homes. Every wondered how the cable cars in San Francisco work? 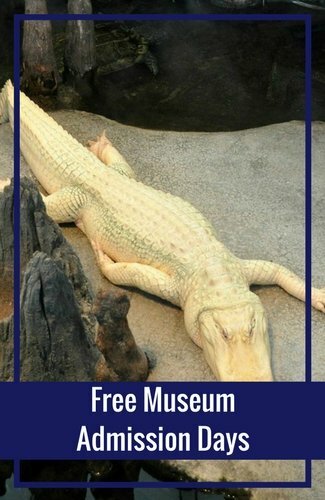 If so, then step inside this free museum. The Cable Car Museum in San Francisco offers you the chance to learn all about the history of the cable cars, how the current lines stayed in operation throughout the years, and what happened during the 1906 Earthquake and Fire. You can also step inside a cable car to take a closer look at how they work. My favorite part is watching the live cables spin as they pull the cars around San Francisco. The Fort Point National Historic Site is one of the oldest buildings still standing in San Francisco. It was originally built in the 1800s as a military fort and was used to protect the opening of the strait of the Golden Gate. It's changed hands many times and today is a museum that is free and open to the public. It's a quick stop, but chock full of interesting information. 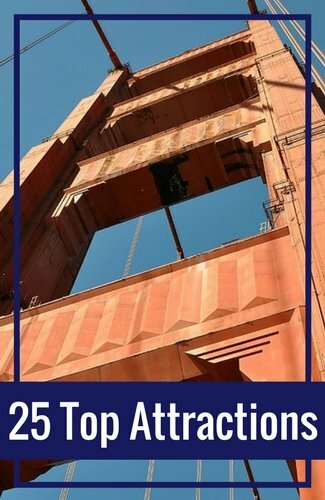 You can learn about the fort and history of the Golden Gate Bridge. During your visit, don't miss a trip to the top of the building where you get some of the most amazing pictures of the bridge. It's not possible to visit San Francisco without spending some time admiring the Golden Gate Bridge. However, don't just gaze at it from far away, get over to it, and make sure to spend a little time at the bridge itself. You are allowed to walk on the bridge's eastern walkway from sunrise to sunset every day of the year. You can also learn more about this top SF attraction at the outdoor mini-museum. On cold days, you can also step inside their grab and go food stores to warm up a bit with some hot cocoa or coffee. No matter when you visit, this is one of the free things to do in San Francisco in November that you will never forget! The next attraction on my list of the best free things to do in San Francisco in November is the Grace Cathedral. This gorgeous building is in Nob Hill. Inside this historic building you can see some of its colorful murals that depict important dates in SF's history, its lovely stained glass windows, and its labyrinth (there is a second one outside). Don't miss the Interfaith AIDS Memorial Chapel and make sure to spend a little time checking out the Gates of Paradise doors that are outside on the eastern side of the church (you'll get the best pictures of these in the morning when the sun is shining on them). The cathedral is open daily, but they request that visitors do not enter during services. You can either walk or drive down #13 on my list of the top free things to do in San Francisco in November. Lombard Street features 8 hairpin turns and is a favorite of visitors from around the world. The street was originally used as a safe passage down the hill for horses and residents that lived at the top. All of these windy streets in San Francisco have been destroyed except for this one block long section. I love walking down the street as it's a great way to see it up close. It's also fun to watch the cars try to navigate the tight turns. This Mission District is a colorful, eclectic Latino neighborhood in the heart of the city. It's home to a large collection on murals. You will find them on buildings, garage doors, down alleys, and on many other places throughout the district. Some of them have a political theme, others are about religion, and some tell the stories of the lives of locals. They are amazing to see. Two top spots where you will find a large concentration are Clarion and Balmy Alleys. Use my guide to help you find these and other interesting pieces. The Palace of Fine Arts finds a spot at #15 on my list of the best free things to do in San Francisco in November. This historic building was originally created as a temporary structure for the Panama Pacific Exposition and it opened to the public in 1915. Due to its appeal, the structure was almost completely rebuilt so locals and visitors could continue to enjoy it for years to come. Today, you can walk along the pathways under the building, take in the beauty of its large dome, and have a picnic on the grass surrounding the building. It's a quick stop, but you will enjoy your time here. Did you know that the fortune cookie was invented in the US? Makoto Hagiwara, a San Francisco resident, was the first person to make this popular treat and he started serving it in his tea house in the late 1800s. Today, San Francisco still has one working factory in the Chinatown district and you can visit for free! The Golden Gate Fortune Cookie Company allows you to step inside the doors to see how these interesting cookies are created. A visit here will answer the question on how they get the message inside. You are welcome to visit for free, but they do request a $1 if you want to take a couple of pictures. Another one of the unique free things to do in San Francisco in November is to watch the bakers at Boudin in action. 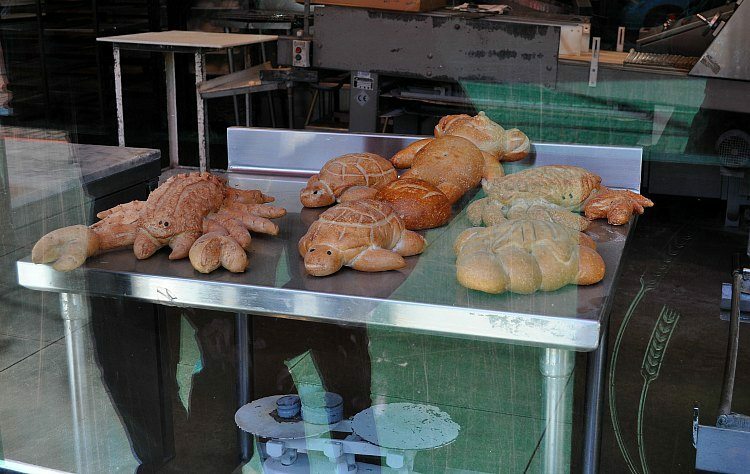 The sourdough bread company has created a floor to ceiling window of their bakery so you can watch the bakers in action. Sometimes, one of the bakers will also have a microphone and will walk the audience through the process to make their famous sourdough bread. Once you are done with the presentation, make sure to step inside to enjoy one of their delicious treats! If you want the best views of San Francisco and the Bay Area, then head to the top of Twin Peaks. These two treeless hills are some of the highest spots and give you unobstructed views of downtown, Alcatraz, and most of the city. You can also see the Golden Gate Bridge, Sausalito, and Oakland. 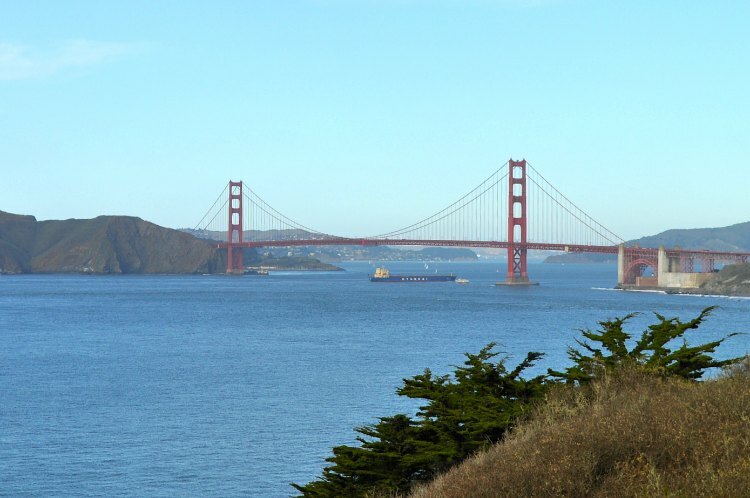 Walk around to the different viewing spots to see all the way from the Pacific Ocean to the San Francisco Bay. If you have never heard of Diego Rivera, now is your chance to learn more about him and see at least one of his three masterpieces. Rivera was a controversial and talented fresco artist from Mexico. He spent quite a bit of time here and was commissioned to create three pieces during his stays. All three were created in the 1930s and 1940s. Their intricate design tells you the story (in the eyes of Diego) of what was going on in the world at the time. I can admire them for hours and I always discover something new. All three are open to the public. They are indoors and all three have visiting hours. 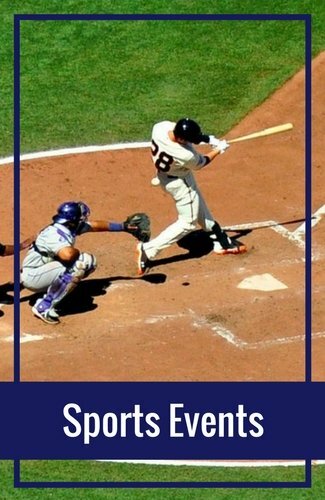 Use my guide to learn more. Click the links below to find deals for your November visit. You can find discounts on your room rate and also check out recent guest reviews. The next on my list of free things to do in San Francisco in November is City Hall. So many people stop to admire its exterior, specifically its lovely golden dome. However, you will find even more of its beauty inside. City Hall is open to the public from Monday through Friday during business hours. You are free to walk around the explore any area of the building that has open doors. Some of the favorites here include the marble staircase, the mini-museum on the first level, and the temporary exhibits on their lower level. Spend some time looking around and don't be afraid to talk up the stairs to explore the second level. Another gem in San Francisco is the National Cemetery in the Presidio. This military cemetery is one of the largest on the west coast with more than 30,000 soldiers buried here. Its gates are open to visitors everyday between 6am and 6pm. The Japanese Tea Garden is another one of the lesser known free things to do in San Francisco in November. You usually need to pay to visit, but you can enter for free on the first hour of opening three days a week. Enter early on Monday, Wednesday, and Friday to get in free for the day. The garden is amazing and there are quite a few things to see and do inside. I love ending my trip by spending some time in the tea house enjoying a creamy green tea and soaking in views of the garden. The historic Rincon Murals are another one of the free things to do in San Francisco in November. Set inside an old art deco post office, the murals here create a story line of the history of the San Francisco area. They were created in the 1940s with money from the federal government. The works had to undergo several revisions during the project as they were very controversial for their time. Read more about the history of the murals, why they were controversial, and tips to visit them on my guide. The very first mosaic stairway in San Francisco was finished in 2005. Since that time, SF and local residents have created three more. All four are gorgeous and open to the public. The most famous is the very first one, the 16th and Moraga staircase. The next one I like to visit is just a few blocks away and is called the Hidden Garden Stairs. You will find two others around town and a few more are in the design phase. Make sure to spend some time checking these out during your stay. The final item on my list of the top free things to do in San Francisco in November is to visit with good old St. Nick, better known as Santa Clause. He makes his way to several location every November and December and welcomes kids of all ages with open arms. You will find him at holiday parties, at shopping malls, and many different stops around town. Use my guide to find out where he plans to visit again this year.